Click Here To Download The FREE How To Play All I Want For Christmas Is You PDF Download PDF! … and this year’s Christmas bass lesson I want one of the greatest Christmas songs ever written (in my humble opinion)... which I play for about a month solid around this time of year! BUT… the cool thing is, this song is so well constructed it will undoubtedly help you play better bass for the other 11 months of the year. Don’t forget to grab the work book which comes with this lesson… and you’ll get my personal chart for this song. 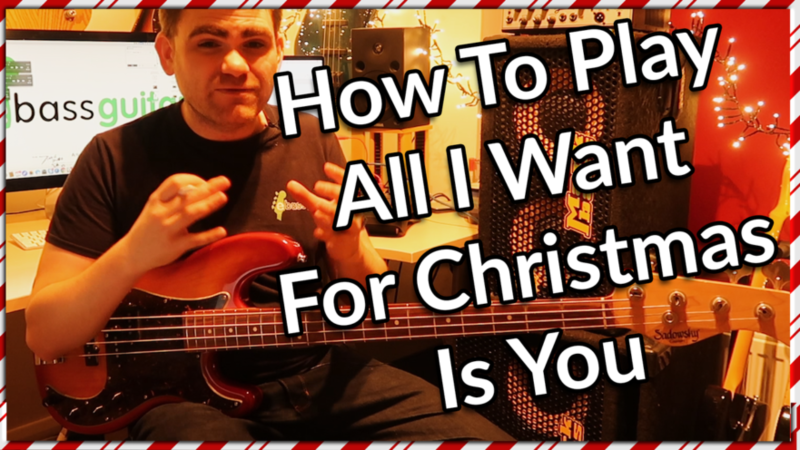 Click Here To Download The FREE How To Play All I Want For Christmas Is You PDF!